Since the start of the post-war development cooperation effort, specific economic, societal, and environmental goals have risen and fallen in their prioritization. 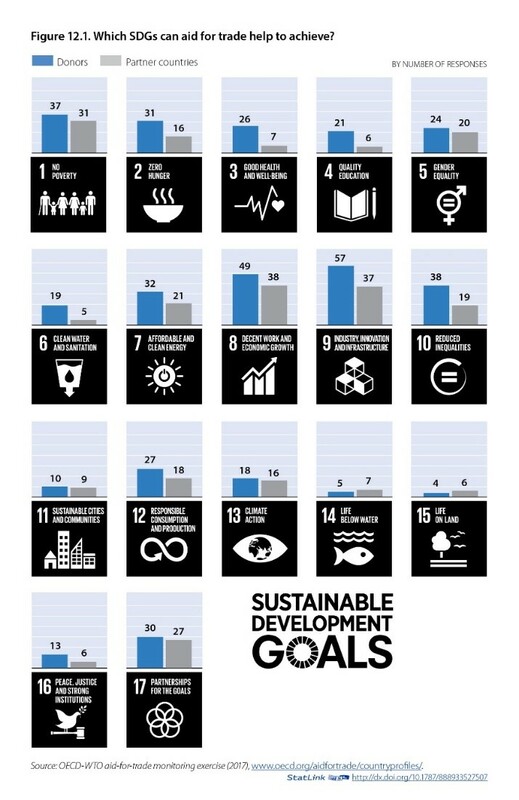 Most are now captured in a universal set of 17 Sustainable Development Goals (SDGs) and 169 targets that form the core of the UN 2030 Agenda for Sustainable Development. Clearly, trade-offs and complementarities among these objectives and targets are required. Therefore, development strategies today are increasingly about finding systemic approaches and logical sequencing to achieve multiple goals at once. After such policies have been identified through stakeholder dialogues in country settings, sustainable development challenges can be addressed in a more realistic and effective manner. This article examines how trade and aid can help the international community reach the SDGs. It starts with a brief description of how development thinking has evolved from economic growth strategies to setting quantitative goals, first through the Millennium Development Goals and now the Sustainable Development Goals. Next, the role accorded to international trade and trade policy in realizing these goals is discussed. 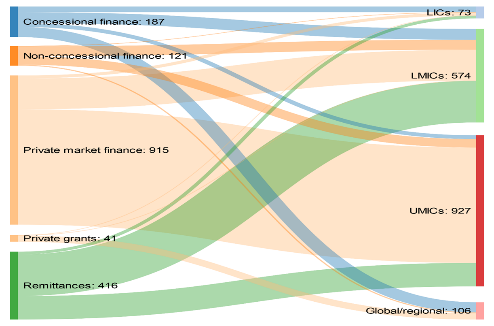 This is followed by an overview of the most important finance for development flows with a specific focus on aid for trade. The article ends with a call for a more integrated approach between trade aid policies to tackle the ambitious goals set by the 2030 Agenda for Sustainable Development. After World War II, two main “schools” emerged on how best to support development: one focused on structural adjustment or industrialization, while the other on trade and finance. The second school—inspired by neoclassical economics—attributed the challenge of development to a lack of finance. Foreign capital could make up for this deficit in domestic savings, a view eventually resulting in the emergence of foreign aid. International trade was seen as one of the fundamental drivers of national wealth creation. Although critics stressed that deteriorating terms of trade disadvantaged the low-income countries, market liberalism triumphed in development thinking for many years. The 2000 Millennium Development Goals (MDGs) marked the beginning of a more aspirational approach to development. The eight MDGs—ranging from halving extreme poverty to providing universal primary education—were targeted at developing countries. The reigning pro-trade environment meant that trade liberalization was given a central role. Thus MDG 8 on global partnerships for development stated the aim “to further develop an open, rule-based, predictable, non-discriminatory trading and economic system.” The MDGs ended in 2015 with mixed views on their success. Critics argued that they were addressed too much within silos, and not enough in a multisector way, as originally planned. The 2000 Millennium Development Goals marked the beginning of a more aspirational approach to development. Today, developing countries face many challenges that were not part of the early development equation. Rapid technological progress disrupts traditional economic development paths. Unprecedented population growth and increased risk of pandemics raise new social challenges. Elevated environmental stress implies higher green standards for all countries. If not addressed properly, these challenges will undermine the ability of developing countries to make progress towards sustainable development. To fully grasp their specific characteristics, these challenges demand isolated consideration to prepare contingency plans for containing their negative impacts. On the other hand, all challenges are intricately linked, reinforcing or alleviating each other, and thus requiring a systemic approach to find appropriate answers. Partnership, to catalyze global solidarity for sustainable development. In order to simplify the range of goals, there have been attempts to put the SDGs in order—finding the best, most logical sequence in which to address them. Development experts concluded that the best way to start working towards the SDGs is to expand people’s opportunities to reach their own goals, with governments guaranteeing the rule of law, social stability, and minimum conditions of life for all. 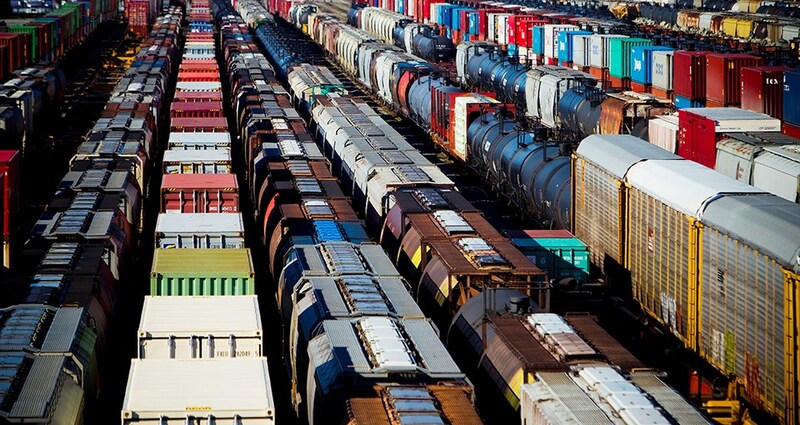 How Can Trade Help Implement the SDGs? There is no specific trade-related SDG as was the case with the MDGs. Instead, international trade is considered an important means of implementation for inclusive economic growth and poverty reduction, as recognized in Goal 17. This goal on partnership calls for the promotion of the rules-based multilateral trading system, and duty-free and quota-free market access for least developed countries (SDG 17 -11 and 12 respectively). In addition, about 20 targets are related to international trade in its functional form, i.e. expanding trade in goods and services, creating employment, diffusing technology and protecting natural resources. Figure 1 provides a schematic overview of these trade-related targets across the 2030 Agenda. It shows the potential contribution of trade to economic growth and poverty reduction, agriculture and food security, green growth, and gender equality as well as its role as a means of implementation. The next section will discuss some of these links. The causality between trade, growth performance, and poverty remains difficult to establish. It is often unclear whether trade or some other growth driver is the culprit when performance on poverty reduction or inequality is disappointing. Countries can fail to benefit from trade for a variety of reasons, such as restrictive policies of their trading partners, or their own structural weaknesses in terms of supply-side constraints, policy and institutional deficits, weak human capacities, and geography. The direct impact of trade on poverty depends on how changes in border prices translate into prices faced by the poor, how trade affects profits, employment and wage levels of the poor, and how trade changes government revenue and expenditure. Thus, the poverty effects of trade is a function of what the poor consume, produce, earn from assets, including their labor, receive in transfers (private and public), and what they can do about variability and adjustment strains. Clearly, there is no a priori reason for trade-induced growth—or from any other factor for that matter—to automatically benefit the poor. However, in general, academic findings stress a positive link between trade openness and economic performance. This especially holds for many developing countries that lack a sufficiently large domestic market. In these countries, creating employment opportunities, including for poor men and women, requires expanding the domestic demand through international trade. In addition, trade serves as a conduit for the transfer of foreign technologies and know-how. This enhances domestic productivity, while heightened international competition stimulates domestic companies to become more competitive. Thus, international trade through Economic Growth and Decent Work, which itself is an SDG (Goal 8), is important for ending poverty (SDG 1). Ending hunger, achieving food security, and improved nutrition by 2030 as called for in SDG 2 is mainly about domestic policy outcomes, although agricultural trade can be a vital means. It allows countries to take advantage of differences in land endowments and heterogeneity within each country’s agriculture. Trade liberalization can streamline agricultural production, allow improvements in dietary diversity, and increase access to food. Food needs to be safe and comply with sanitary and phytosanitary requirements to contribute to nutrition and food security. This objective is the focus of the WTO Agreement on Sanitary and Phytosanitary Measures and its technical assistance facility. SDG 2 also includes a call to correct and prevent trade restrictions and distortions in world agricultural markets, including through the elimination of agricultural export subsidies. The 2015 WTO Ministerial Decision on Export Competition constituted a major step towards this target. Today, developing countries face many challenges that were not part of the early development equation. There is increasing concern that without major action, irreparable damage will be done to the natural environment and the resource base of developing countries in particular. In these countries, poverty is both a cause and result of environmental degradation. But a growing body of evidence shows that accelerating climate action can bring sustainable growth. This involves wiring together economic, environmental, technological, financial, and development aspects into a coherent framework. Targets and objectives related to tackling climate change are referred to in SDG 13, although it explicitly acknowledges the United Nations Framework Convention on Climate Change as the primary forum for negotiating the global response. SDG7 refers to access to renewable energy technology. Here, opportunities for international cooperation should focus on clarifying the rules around fair support for the renewable energy industry and reducing barriers to trade in environmental goods. One of the most explicitly trade-related targets in the SDGs, target 14.6, refers to the prohibition of certain forms of fisheries subsidies that contribute to overcapacity and overfishing, as well as the need to eliminate illegal, unreported, and unregulated fishing. This target largely reflects the mandate that was already agreed at the 2005 Hong Kong WTO Ministerial Conference. The SDG target might have helped to forge consensus at the 2017 Buenos Aires Ministerial Conference on a work programme aimed at reaching an agreement by 2019. Life on Land is addressed in SDG 15. Although trade does not appear, it can help as a means of implementation to generate financial resources (15.a), provide incentives (15.b), and increase the capacity of communities to pursue sustainable livelihood opportunities (15.c). Trade can be an important tool for supporting gender equality and empowering all women and girls as called by in SDG 5. The 2017 Joint Declaration of 118 WTO Members on Trade and Women’s Economic Empowerment acknowledges that inclusive trade policies can contribute to advancing gender equality and women’s economic empowerment. Strengthening the contribution of trade liberalization to gender equality is not only needed for equity concerns, but also for long-term growth prospects. Closing the gender gap could potentially increase the size of the global economy by 2.1 trillion USD in 2025. 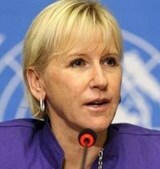 However, it is impossible to be categorical about the direction of the relationship between trade and women. As with the poor, the results depend on their different roles as producers, consumers, business owners, and traders. Shepherd et.al find that internationally engaged firms from developing countries tend to employ a higher proportion of women workers and pay them a higher salary. Although trade has the potential to support gender-inclusive growth and development, they conclude that favorable regulations are at least equally important. Thus, the gender implications of trade reforms should be assessed on a case-by-case basis. A first attempt to provide a systematic framework for such ex-ante evaluations is the Trade and Gender Toolbox developed by Unctad. Complementary policies are needed to realize the full benefits of trade liberalization. In other words, the positive results from trade are not automatic; other policy choices matter as well. The next section will discuss the finance available for policies that promote sustainable development; special focus will be given to aid for trade. In developing countries, poverty is both a cause and result of environmental degradation. The vision underpinning the 2030 Sustainable Development Agenda is broad and ambitious, and it calls for an equally broad and ambitious financing strategy. The first International Conference on Financing for Development singled out trade as often the most important external source of development finance. The third International Conference on Finance for Development and the resulting Addis Ababa Action Agenda (AAAA) only highlight the role of trade as an engine for development and no longer as a source of development finance. Instead, the Agenda points to domestic resources and foreign direct investment. It stresses the need for a substantial additional contribution from the private sector. 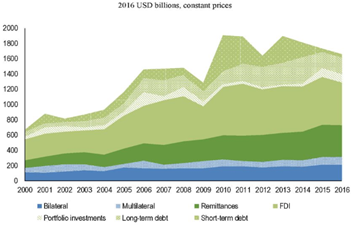 In 2016, international actors, both public and private, provided almost 1.7 trillion USD in external finance to developing countries. The private sector provides the bulk with around 750 million USD in foreign direct, portfolio and long-term investment. Migrants who send 416 USD billion home are also important, albeit only for a limited number of developing countries. Official providers, with combined resources amounting to 310 billion USD, target poverty reduction, the poorest countries, and global programs (Figure 2 and 3). The AAAA did note, “Aid for Trade can play a major role and should strive to allocate an increasing proportion going to least developed countries.” Moreover, SDG 8 reiterated and calls to “increase aid-for-trade support for developing countries, in particular least developed countries.” Both the SDGs and aid for trade objectives are dependent on integrated policy approaches and trade-offs. This implies that aid for trade should contribute to the economic objectives of developing countries by helping them to connect their firms to international markets, and expand and diversify trade. At the same time, aid for trade should help achieve social objectives by reducing poverty and inequalities. Finally, aid for trade should pursue environmental objectives through helping developing countries adapt to climate change, while exploiting comparative advantages in low-carbon production. Closing the gender gap could potentially increase the size of the global economy by 2.1 trillion USD in 2025. 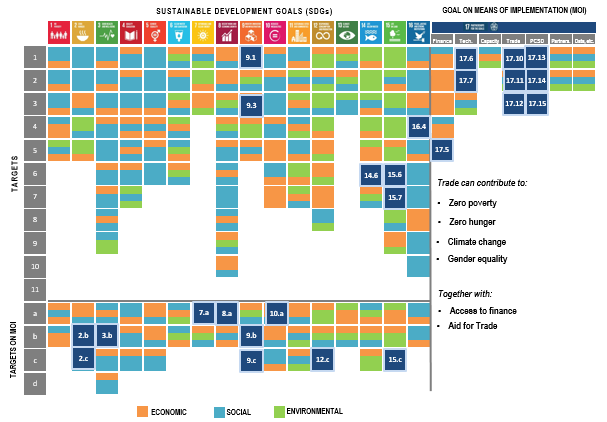 Figure 4: Which SDG can aid for trade help to achieve? 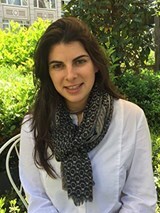 Modern history has shown that countries that have pursued an outward-oriented development strategy with trade liberalization at its core not only outperformed inward-looking economies in terms of aggregate growth rates, but also succeeded in lowering poverty rates and registering improvements in other indicators of social progress. Clearly, international trade can help realize the SDGs as a key transmitter of goods and services, technology, knowledge, and behavior. Since the MDGs showed that sustained development outcomes remain out of reach through one-dimensional or siloed approaches, the SDGs adopted a multidimensional approach. From the trade community, this will demand a more serious effort to also tackle environmental and social problems. Trade economists will need to move away from their narrow focus on trade policy and start to work with other disciplines to help find solutions for a wider range of challenges. Failure to do so would render trade ineffective as a means of delivering the 17 goals of the 2030 Sustainable Development Agenda. The development community has long recognized that the vicious cycle of underdevelopment can only be broken through policies that integrate inclusiveness and sustainability with economic growth. Successfully combining aid and trade will remove the compartmentalized approaches that have limited effectiveness. It will privilege coherence that is required to address the integrated challenges of the 2030 Agenda for Sustainable Development. Jeffrey Sachs, The Age of Sustainable Development (Columbia University Press, 2015). OECD/WTO, “Aid for Trade at a Glance 2015: Reducing Trade Costs for Inclusive, Sustainable Growth,” 2015, WTO, Geneva/OECD Publishing, Paris, https://doi.org/10.1787/aid_glance-2015-en. L. Alan Winters, Neil McCulloch and Andrew McKay, “Trade Liberalisation and poverty: the evidence so far,” Journal of Economic Literature, Vol. 42, No. 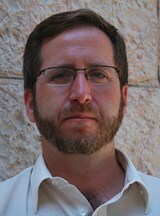 1 (March, 2004), pp. 72-115. World Bank Group and World Trade Organisation, “Trade and Poverty Reduction: New Evidence of Impacts in Developing Countries,” 2018, World Trade Organisation: Geneva. WTO, “Ministerial Decision on Export Competition,” 19 December 2015. Matthias Helble and Ben Shepherd, “WIN–WIN How International Trade Can Help Meet the Sustainable Development Goals,” Asian Development Institute, 2017, p. 4. OECD, “Making trade work for the SDGs,” 2018b, unpublished working paper. 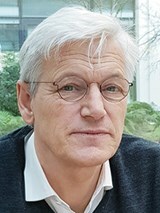 Frans Lammersen is Principal Administrator in the Development Co-operation Directorate of the Organisation for Economic Co-operation and Development (OECD) in Paris, France. Dr. William Hynes is an Adjunct Professor of International Development at the Johns Hopkins University School of Advanced International Studies and the Acting Head of the New Approaches to Economic Challenges Unit of the OECD.